The SRA1 course flows from the free DIP Lite course. In the first part of the course, the tools and skills that were developed in DIP Lite will now be specified towards walking the Conscious Mind, the Subconscious Mind and the Unconscious Mind simultaneously. In the second part of the course, various characters are discussed in detail, where each lesson invites you to explore a different character while using your own personal experience as a reference. Herein you will gain more and more understanding into your own psyche, where you will see, realize and understand why certain behavioral patterns would keep manifesting during your life and how you are now able to become the directive principle within them. SRA1 is - within specifying your process of writing, self-forgiveness, self-correction, self-intimacy and self-honesty - a building block towards the SRA2 course - where these tools are, again, taken to the 'next level' of specificity. In SRA2 you will learn how to write out Mind Constructs. 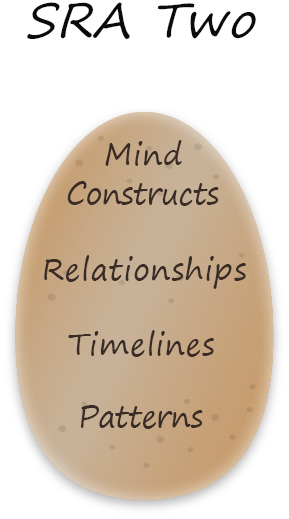 What we experience on a conscious level is only the 'tip of the iceberg' - the Mind Construct is a tool that allows you to uncover, understand and release all the information, memories and characters that exist 'below the surface' and that trigger automated behavior patterns that you have created over time in absolute specificity and detail. What is the power of Mind Constructs? Here is an example: Think of your 'worst enemy' - a person you have considered to have the most destructive influence on you and your life - whether it is a family member, friend, (ex-)partner - or the person who seems to 'bring out the worst in you'. These relationships - whether past or present - have a huge impact on your view of yourself, others and the world around you. 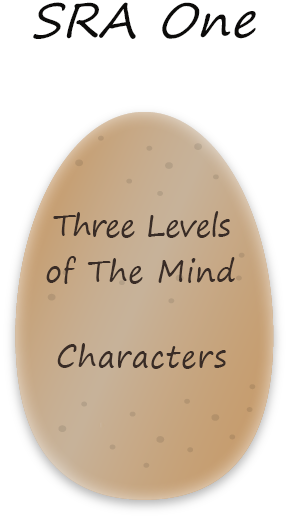 Through writing Mind Constructs, you will empower yourself to purify who you are to the point that you can look your 'worst enemy' in the eye and stand within forgiveness, equality and oneness - released from the past and empowered to create the relationships you would like to have in your world. It is easy to intend to forgive, it is easy to intend to change, it is easy to intend to be true to yourself no matter where or with whom you are - but how can you DO it for real when all the odds are against you? This is what we will show you in SRA2. Having mastered the tool of Mind Constructs in SRA2, you are now equipped and ready to explore and take on your Resonant Designs. In this series, we show you new tools and methods to uncover the intricate dynamics involved with the workings of your Resonant Mind. Be astounded by how seemingly irrelevant moments of experiences and decision making are in fact the outcomes of meticulous calculations. The saying ‘the Devil is in the details’ will truly be understood after you have walked through this series. Who are you? You are who you are, right? But then, how did you become who you are? In the ‘Who I Am’ series, you will be shown how you in fact CREATED yourself through your Mind. So far we have assisted and supported you to see who you have become and you have started to see which factors were involved in ‘who you are today’ – but how does the process of creation function in detail? What are the stages of self-creation? Why are you one personality in one moment and another personality in the next? 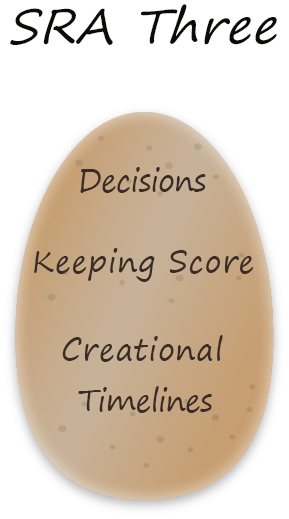 Where and when did you make these decisions and what did they dependent on? In this course you will receive the tools that will open up a whole new level of understanding in your personal journey of self-perfection. You will not only be working through reactions, characters and personalities, but will be able to quickly and easily lay out exactly how you CREATED yourself in any given moment. Once you see and understand how you created who you are, you will equally see how to re-create yourself – but this time, in absolute awareness and specificity. Within this series, all the understandings and tools that you have worked with and mastered in the previous series are coming together for you to see how everything interconnects and intertwines on a conscious, subconscious and unconscious level in the process of Creation. Have you ever wondered why the world is the way it is and how you fit into the bigger picture? World problems often seem far removed from our own personal lives. But are they? IIn SRA4 you will be structurally guided through the micro and macro dimensions of Who We are As the World within the principle of equality and oneness and ‘as above so below’. How is the compartmentalization of the world systems in terms of politics, religion, education, business and entertainment reflected in the structure of our minds and living? In this course you will be zooming in and out, taking responsibility for how we co-exist in society by exploring your personal relationship to each of these world systems. As you read this, new courses are being developed and walked with the first group of people that joined Desteni I Process. The areas we want to cover are expected to stretch over ten years.